This page shows the latest Flixabi news and features for those working in and with pharma, biotech and healthcare. Ontruzant was the fourth biosimilar developed by the Korean company to receive marketing authorisation in the EU, after Benepali (etanercept), Flixabi (infliximab), and Imraldi (adalimumab). 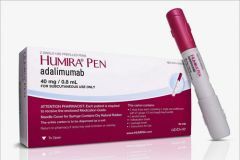 It has also been granted approval for Benepali (etanercept), Flixabi (infliximab), and Imraldi (adalimumab). TNF blocker after Benepali (etanercept) and Flixabi (infliximab). competition from Pfizer's Inflectra, Mundipharma's Remsima and Samsung Bioepis' Renflexis/Flixabi. It is the company's third anti-TNF biosimilar in Europe after Benepali (etanercept) and Flixabi (infliximab), both of which were approved by the EMA in 2016. Approximately 2 fully matching, plus 8 partially matching documents found.